Compression testing is a method for assessing the ability of a material to withstand compressive loads. This test is commonly used as a simple measure of work ability of metal, particularly in forging and similar bulk deformation processes. Engine mounts, bolster springs, cast products, and similar components are tested to determine load versus displacement. From our wide consignment, we are affianced in providing Cube Compression Testing Services. We are recognized by the clients for providing Core Compressive Strength Testing Service. - This test is used to determine the compressive strengthof a concrete core, which has usually been extracted from an existing structure. - This test is conduct as per IS 516. We are the Services provider of the Compression tube Testing. We are a top-notch organization, engaged in providing Unconfined Compression Testing. In order to meet excellent quality standards, we are providing Compression Testing Services. We are engaged in offering Unconfined Compression Testing service. Air Compressors, Gas Compressors, Air Compressor Service, Air Compressor Parts! Houston Compression Services provides the Industrial, Oil Gas. We are amongst the most reputed names in the industry, offering Compression Air Testing Service. We are amongst the most reputed names in the industry, offering Compression Testing Services. Since 1991, we are the first company in India to provide high pressure Natural Gas Compressors on chartered hire basis. Currently, our organization is the largest private sector company in this segment in India and commands a market share of over a 95%. We design our packages with built-in flexibility to meet wide range of applications with minimum changes. Compression testing is a method for assessing the ability of a material to withstand compressive loads. This test is commonly used as a simple measure of workability of metal, particularly in forging and similar bulk deformation processes. Engine mounts, bolster springs, cast products, and similar components are tested to determine load versus displacement. We are engaged in offering Compression Testing Services. 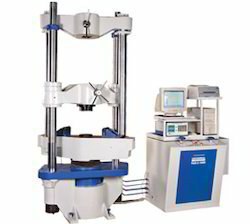 Drifting/Flattening/Crushing test for tubes, Load Vs deflection for springs, push out load test etc. We are a top-notch organisation, engaged in providing Concrete Compression Testing Service.